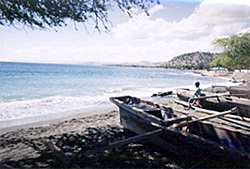 The Museum to Museum partnership program for Timor-Leste was developed under the 'UNESCO Programme for the Preservation of Endangered Movable Cultural Properties' to promote international technical cooperation for museums in Least Developing Countries (LDC), Low Income Countries (LIC) and countries in transition, as well as those in post conflict situations. The program focuses on the protection, conservation and presentation of "endangered movable cultural properties". Implemented by UNESCO Jakarta, the Museum to Museum Partnership Program for Timor-Leste aims to provide a practical and sensible framework to aid in the development and support of a national museum. The Museum-to-Museum program is supported by a number of partners. The Centre for Cultural Materials Conservation at the University of Melbourne has received support from two internal funds. The Vice-Chancellor's SIAF Allocation for Steering Committees. This allocation aims to establish steering committees that facilitate inter-faculty and cross-disciplinary collaborations within the University, and between the University and the wider community. Such multi-disciplinary groupings aids in the University's contribution to public life through 'knowledge transfer'. The Knowledge Transfer Grants provided funds for the development of a Museum to Museum program website. The Museum and Art Gallery of the Northern Territory has received support from AusAid through the Australian Leadership Awards Fellowships. Implement exchange programs for culture, collections/exhibitions, experience and ideas. Areas for exchange are management, documentation, conservation (including textiles and paper), exhibitions and living culture, displays and collections. Develop a study program of topics, invite people to East Timor, hold training workshops, and undertake research. 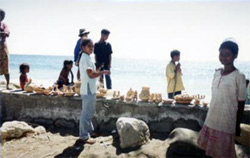 The topics for the study program are conservation, building design, good management, techniques for display, community involvement, techniques for exhibition, travel to develop overseas experience of museum for East Timor, documentation, histories and prehistories, and research. Involve the community and students in exchange programs and include living culture, like dance. Suggestions for programs included socialisation of the community to the museum by holding a competition in the museum, having a market for souvenirs in museums, promote the museum, develop an audio visual exhibition, provide training for community and students, how to involve community and students in planning, develop the role of the museum for recreation, develop a book stall, invite community and international representatives for Celebration Day, involve village leaders, prepare catalogue for distribution. Staff at the Department of Culture also considered it useful to work with the Department of Environment and Training, and to form a multi-department committee from Education, Tourism, Media, and Environment to work on a promotion program for the Museum. Staff also noted that for the development of the museum staffing stability was important, and that there needed to be staff continuity for program development.